Graduated from Voronezh State Academy of Architecture and Engineering (Department of Engineering Systems and Structures). Worked as Chair of Department of Fire and Industrial Safety, Dean of Faculty of Engineering Systems and Structures, later on as Vice Rector for Academic Affairs. Currently working as Rector of Voronezh University of Architecture and Engineering. Research interests: development of engineering systems for energy-efficient residential, public and industrial buildings; development of intellectual management systems of energy consumption of buildings and technological processes; development and design of new types of anti-explosive, fire-resistant and environmentally friendly equipment in power industry; fire safety in construction. Graduated from Kharkov Aviation Institute. From 1961 to 1986 worked for a private organization “Construction Bureau of Chemical Automation” where he defended his postgraduate and doctoral (1982) dissertation. According to the State tasks, he engaged in new perspective developments in space power structures. Up to present V.N. Mel'kumov has published over 120 private publications. In 1986 after being transferred to Voronezh State University of Architecture and Engineering he worked as Chair of Department of Heat and Gas Supply and Oil Business and Dean of Faculty of Engineering Systems and Structures. For over 20 years he has been Chair of Dissertation Board for Postgraduate and Doctoral Research. Since joining Voronezh State University of Architecture and Engineering he has published over 130 scientific papers, trained over 10 Doctors of Science and 20 PhDs. Has over 20 patents for inventions and useful models. Worked as Member of the Expert Board of Higher Examination Board of the Russian Federation for Architecture and Engineering where he was a dissertation examiner. Research interests: thermodynamics; physical and mathematical models; heat and gas supply systems; environmental safety; transport structures; purpose functions; power sets; non-conventional energy sources. Research interests: improving the quality and reliability of welded alloys of metal structures with the development of optimal joint structures and the area in the vicinity to the joint; study of physical and chemical processes of the interaction of a metal matrix with non-metallic fillers in metal matrix composites; analysis of the operation of hanging structures. The main research interest is engineering thermal physics. Published over 160 scientific papers. Scientific Interests: architecture of public buildings, architecture of public spaces, theory of architecture. Аuthor of more than 130 publications, monographs, including “A Business Center as a New Type of a Public Building”, “Institute of Civil Engineering in Nizhniy Novgorod”, textbooks “Architectural Typology of Public Buildings and Structures”, “Architectural Design of Public Buildings and Structures”. Аuthor of over 70 projects and construction designs including the reconstruction of the Stadium Dinamo, Hotel Oktyabryaskaya, Boulevard Gordeevskiy, Ensemble of National Unity Square, documentation of cultural heritage objects of Nizhniy Novgorod and Nizhniy Novgorod Region. Winner of All-Union and All-Russian Display Contests. Dean of Faculty of Architecture of Voronezh State Technical University, an honoured architect of the Russian Federation, Chair of Department of Design and Architectural Graphics, member of the Architects’ Society of Russia. Karpenko N.I. is an honoured scientist of the Russian Federation, laureate of the Russian Federation Government Award. Specialist in ferroconcrete mechanics. Engages in the theory of the calculation of monolithic ferroconcrete buildings and structures considering physical non-linearity and crack formation, general failure criteria and deformation models of concrete and ferroconcrete, computer methods of calculation and design, development of guideline documents on the calculation and design of statically non-determined ferroconcrete structures, monitoring of buildings for reconstruction, scientific support of the construction of large structures, strength examination of structures. Lately he has been involved in the development of physical and mechanical and rheological mechanics of high-strength and super high-strength concrete of strength types В80-В150. Research interests: engineering mechanics, elasticity theory, complex rheological media, differential equations, applications of discrete mathematics in engineering tasks. Member of the National Committee of Russia in theoretical and applied mechanics, author of more than 130 publications including 12 monographs and learning materials in mechanics and mathematics published by major publishing houses. Part-time professor in the Department of Elasticity Theory of Moscow State University Named after M.V. Lomonosov. Author of over 180 publications, has over 280 registered patents inventions and useful models. V.I. Kolchunov’s major research interests lie in the study and design of new effective energy and resource-saving spatial structures using non-linear deformed anisotropic materials (ferroconcrete type), development of the theory and methods of their calculation, experimental study and rational design as well as theoretical foundations of construction safety of engineering systems. The results of the research by V.I.Kolchunov were implemented into the guideline documents of the country including “Guidelines on the Design of Ferroconcrete Spatial Surfaces and Partitions (Section 10, 1979)”, “Guidelines on the Design of Surfaces of Industrial Buildings with Ferroconcrete Panels with КСО (KSO) shell”, etc. V.I. Kolchunov has published over 200 scientific papers, obtained over 20 patents and author’s certificates. He has invented a number of new effective structures which were used to construct a building with the total area of over 200 000 sq. m. He was awarded with a medal of Exhibition of Achievements of the National Economy (ВДНХ) of the USSR (1985) and All-Russian Exhibition Centre (ВВЦ) of Russia (1996). Distinguished Worker of Higher Professional Education of the Russian Federation, Advisor of the Russian Academy of Architecture and Construction Science. Author of over 200 research paper, including 1 monograph, 1 reference book for Construction Guidelines and Regulations, has 1 individual certificate, 5 certificates of state registration of software programs. Scientific interests: developing methods of evaluation of noise modes in buildings and adjacent areas. Distinguished Worker in Science and Technology of the Russian Federation, Distinguished Architect of Russia. L.S. Lyakhovich is a PhD Board Chair, Member of the Presidium and Science Board of the Russian Academy of Architecture and Construction Science. Main scientific interests: strength and resistance calculations of structures, engineering of minimum material cost systems. An energy criterion that he set forth for the equivalency of systems in strength and resistance calculations is a foundation of the development of the theory of approximation in descriptions of some processes in structures as well as processing of the results of non-destructive tests. The criterion for distinguishing eigenvalues that he suggested contributes to the theory of qualitative analysis of durability and oscillations of structures. The criterion modified for strength calculations of systems with one-sided and band-linear connections was applied in kinematic analysis of structures. In the theory of the optimization of structures he suggested a method allowing such parameters as sections of elements as well as of connections, extra or removed masses as well as of preliminary stress to be varied. A number of special properties of systems of minimum material cost were identified. The criterion for evaluation of an optimal level of obtained solutions was formulated and a method of synthesis of optimal systems as structures with predetermined properties was set forth. An honoured builder of the Russian Federation. L.R. Mailyan is the author of over 180 published papers, has 2 author’s invention certificates. For over 30 years he has lectured the major and special course “Ferroconcrete Structures” for RSAU students. Also lectured in the USA, Great Britain, Yugoslavia and Yemen. Performs engineering research, reconstruction and reinforcement of buildings and structures thus restoring over 50 industrial, civil and transportation structures of the Southern Federal District back to operation. Member of RAAES, laureate of the State Prize of the Russian Federation and the Russian Federation Government Prize, D.Sc. in Economics, Professor, Honoured Scientist of the Russian Federation, Yu.P. Panibratov is the author of over 200 research and methodology papers. Research interests: construction economics, effectiveness of construction industry investments, project management. One of the organizers and active participant of an economic experiment of improving investment management system performed by the Government of the Russian Federation in a number of regions. Most of his research is focused on finding ways to improve the activities of everyone involved in investment processes – from the customer, investor, designer, contractor to building materials and transportation industries. Recent research has dealt with improving a city management system and attracting investments to Saint Petersburg. Trained and supervised hundreds of engineers, 43 Ph.D’s and 19 D.Sc’s. At present supervising 4 doctoral students, 7 PhD students and applicants for PhD in Economics. Chair of Dissertation Board “Economics and Management of National Economy”. Research interests: ecology, environmental safety, automobile roads and transport structures. Has over 160 publications, has supervised 3 doctoral dissertations and 17 PhD dissertations. V.P. Podol'sky was in charge of a biotechnological laboratory in Efremov on the motorway M-4 “Don” for the construction of purification facilities for collecting and purifying land drainage off the roads of settlement Borovoe supported by Project Road Maintenance Department (PRMD) – 10 (2002). Research interests: solution of theoretical and practical problems of sorption of organic substances of natural waters for obtaining ultraclear water using the sorption methods by means of synthetical polyelectrolytes. Slavinskaya G.V. has formulated the major physical and chemical principles of the selection of anionites selective for humic acids as well as fundamental laws of their sorption of anionites of different types, developed the idea of the mechanism of sorption of humic and fulvic acids, identified a selectiveness bond, thermodynamic functions of their sorption with the structure of anionites as well as entropic nature of this process. One of the reasons for selective sorption of organic substances is shown to be change in the structure of water in the ionite. The optimal modes of desorption of fulvic acids were scientifically justified. Ways of interpreting the influence of the type of a coion on the efficiency of the process were suggested considering the difference in the structure of desorbent solutions. A rational combination of anionites of different types for deep removal of fulvic acids was set forth based on chromatographic division of their fractions in the process of sorption. A considerable increase in the sorption capacшен ща anionites in relation to fulvic acids previously oxidized by ozone was theoretically predicted and experimentally proven. Based on the obtained theoretical data, technological processes of removing organic substances as well as humic acids during ion-exchange desalination of natural waters of any quality were developed. Ion-exchange setups of sorption and ion-exchange water conditioning were introduced to 11 enterprises of defense and electronic industries in 5 cities of the country. Corresponding member of the Academy of Science of the Republic of Tatarstan. Research interests: prediction of durability of building materials, products and structures under specified operation conditions. 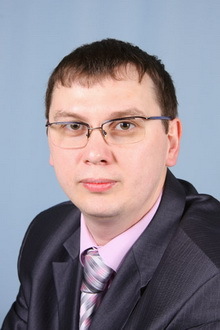 A.M.Suleimanov has participated in state-funded contracts with Science and Research Institute of Construction Physics (SRICP) of the Russian Academy of Architecture and Construction Sciences “Development of a Computer Structural and Immitational Model of Film and Fibre Composites” of the program “Architecture and Engineering”; cross-industrial program of the cooperation of the Ministry of Education of the Russian Federation and Federal Service of Special Construction of the Russian Federation “Science, Innovations and Construction Staff Training for 2001-2005”. Russian Fund of Fundamental Research (RFFR) grant participant in 2003-2007. Has designed a variety of methods including assigned by Gosstroy of Russia, international standard - ГОСТ (GOST) 30973-02 as well as a series of unique laboratory setups modeling the effect of operation (radiation, temperature, humidity and different types of mechanical loads) that were introduced to a number of industries. Research interests: fire resistance of building structures, fire safety of buildings and structures. Main research efforts are focused on experimental and theoretical studies of fire resistance of composite building structures (ferroconcrete and reinforcement polymer concrete) with the development of methods for the calculation of fire resistance of structures and bearing systems in standard tests and “real” fires as well as practical methods of improving fire resistance as well as approaches to the oprimization of cost-effectiveness of fire resistance with the total level of the protection in a system of “rigid” (object oriented) fire resistance standards. Winner of the Russian Federation Government Award in Science and Technology, Distinguished Worker in Science of the Russian Federation, Distinguished Architect of Russia, Distinguished Worker of the Higher Professional Education of the Russian Federation. Author of over 400 research papers, including 19 monographs and studying materials, has over 50 patents. The most important papers are “Plasma Polishing of Construction Composites” (2009), “Heat and Mass Transfer in Technological Processes in Construction Industry” (2010), “Theoretical Foundations of Mathematical Modeling of Mechanical and Thermal Processes in Production of Construction Materials” (2011). Scientific interests: scientific foundations of processes, technology and equipment for thermal processing of disperse materials. Research interests: development of fundamental problems of material science of composites as well as scientific and practical foundations of management of chemical and technological process of structure formation and quality of non-organic binding materials; development of the conception, methodology and scientific and engineering solutions for complex and deep re-treatment of technological products in building materials technology; analysis of modern technical and economic problems and effective directions of development of the architectural and building complex of the region. Has published over 350 research papers, has 7 patents, one of the developers of the country’s own gas silicate technology. Chernyshov E.M. has supervised over 20 technological regulations for the manufacture of steam-cured cellular concrete and porous concrete of normal solidification; suggested the technology of ultra light-weight silicate cellular concrete, technology of artificial sinter; the co-author of foundations of the building materials technologies using enrichment tails of ferrous quartzite, carbon calcium wastes, glass wastes, gold slag mixes, etc. Research interests: numerical calculation of geotechnical objects considering physical non-linearity of surfaces and geomaterials (solution of theoretical problems, development of software), reconstruction, maintenance and operation of bridge structures. Author of over 100 research papers on the theory, design, construction of geotechnical objects and bridge structures. Scientific Interests: architecture, urban construction, shape formation. Author of over 100 publications, 5 grants by the Fund of Investigative Science (Russian Fund of Fundamental Research and Russian Academy of Architecture and Construction Science), over 200 architectural and urban construction concepts and projects, Winner of the Urban Construction Award (“Best Urban Construction Project”, 2015), Winner of the Contests Named after A.E. Gutnova “Best Urban Construction Project for Moscow” (2004, 2009). 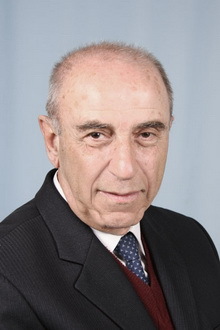 Polymate Ltd. (Israel), President of Israel Association of Inventors, Editor-in-Chief of «Scientific Israel- Technological Advances» Journal (Israel) and Open Corrosion Journal (Great Britain). Over five years he has been Chairman of UNESCO Green Chemistry. For his scientific and practical contribution he was awarded with the State Prize of the Ministry of the Soviet Union, a golden medal of Exhibition of Achievements of the National Economy (ВДНХ) of the USSR and Innovation Exhibition IENA (Germany), has a Gold Angel Prize as the Best Inventor and NACA Nanotech 50 (USA) Prize, laureate of Gold Angel Prize (Israel). Author of over 70 research papers. He has invention patents and individual certificates. Practical contributions are projects of ferroconcrete monolith foundations for wind-powered electrical setups such as “Furlander” with the strength of 2.5 МWatt in Wind Electric Station “Botiyevo” and “Novoazovskaya” in Donetsk Region (in collaboration with specialists of a project agency Hartwig-Consulting-Engineers, Hamburg, Germany). Main research interests: development of new high-quality composite materials in the form of corrosion-resistant and high-strength concrete and studies of features of their operation in a volumetric stressedly-deformed condition and high temperatures; studies of stress-strain and development of the calculation methods for ferroconcrete constructions of buildings and structures that are employed in technological and climatic temperature-humidity effects; development of the criterion of strength and deformation ratios for complex-stressed elements of ferroconcrete structures including high-strength concrete; studies of stress-strain of ferroconcrete tower structures and development of methods of their calculation for short and long-term loadings considering construction features, defects, damage, development of methods of their improvement. Editors: PhD in Philology Litvinova T. A., Lantyukhova N. N., Litvinova O. A.